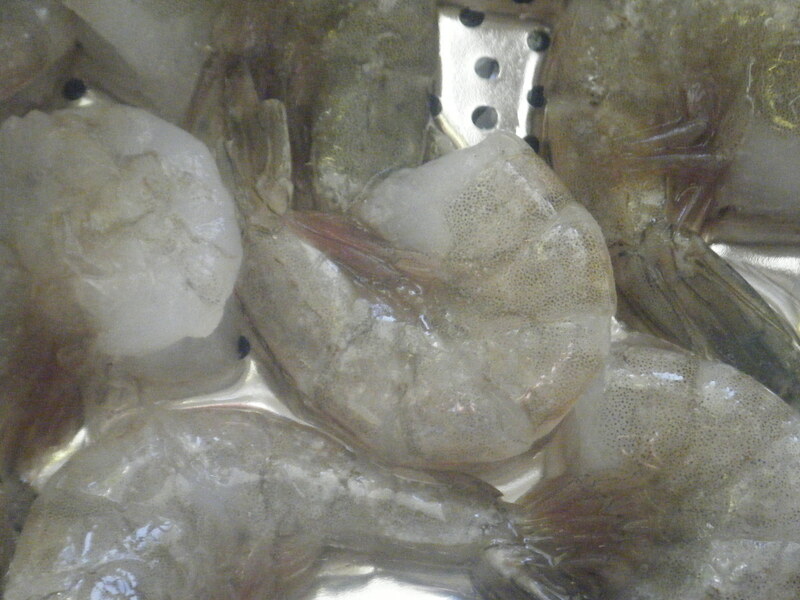 Thaw your shrimp by running cold water over them for about 7 minutes. 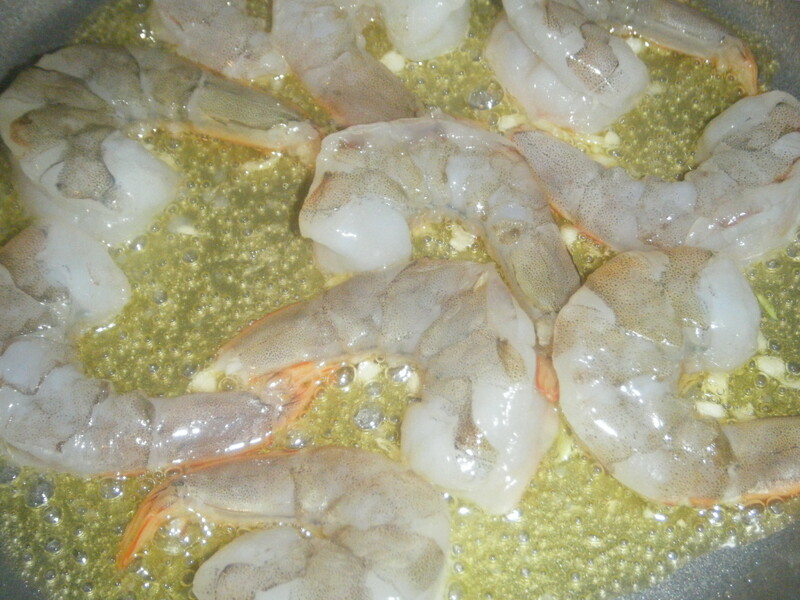 Make your fantastical boyfriend shuck the shells and legs off the little boogers…. 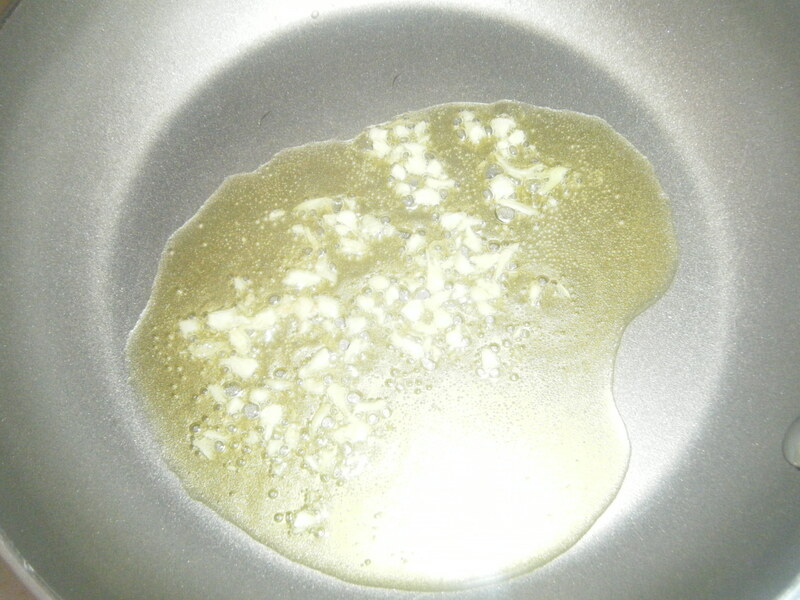 Heat olive oil over medium-low heat and add the garlic, cooking until fragrant (about 2 minutes). 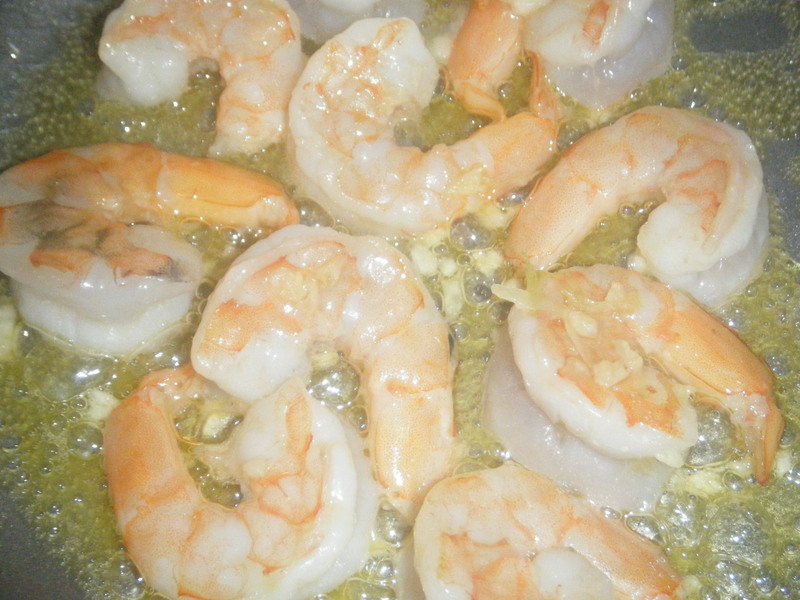 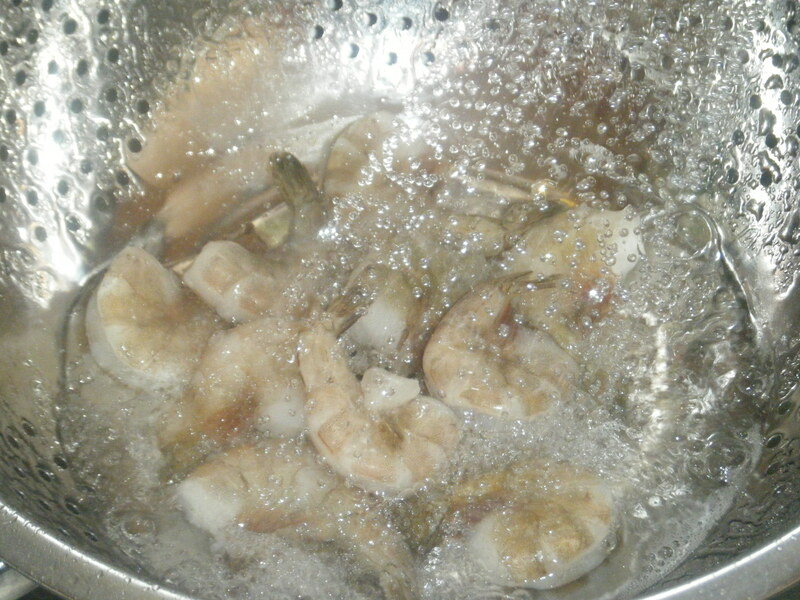 Add your shrimp to the pan and cook about 2 minutes each side. 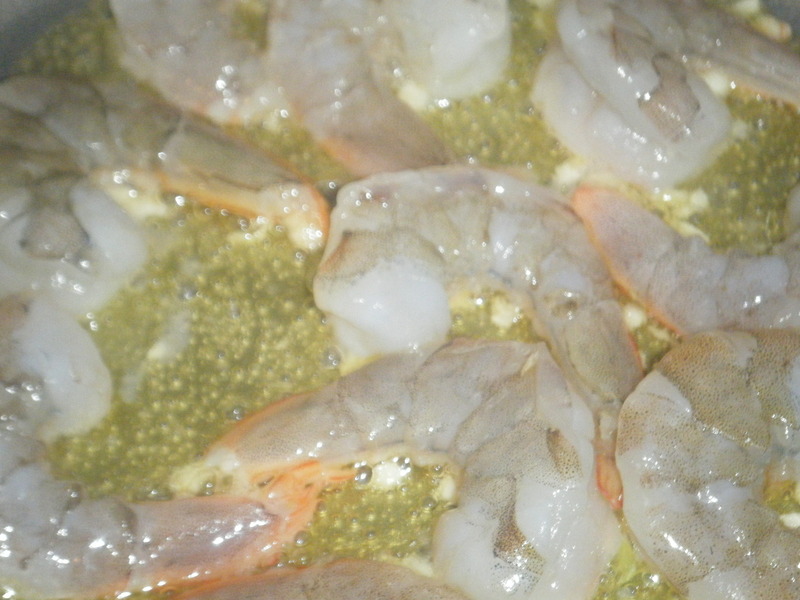 Remember when cooking shrimp… C means Cooked… O means Overcooked. 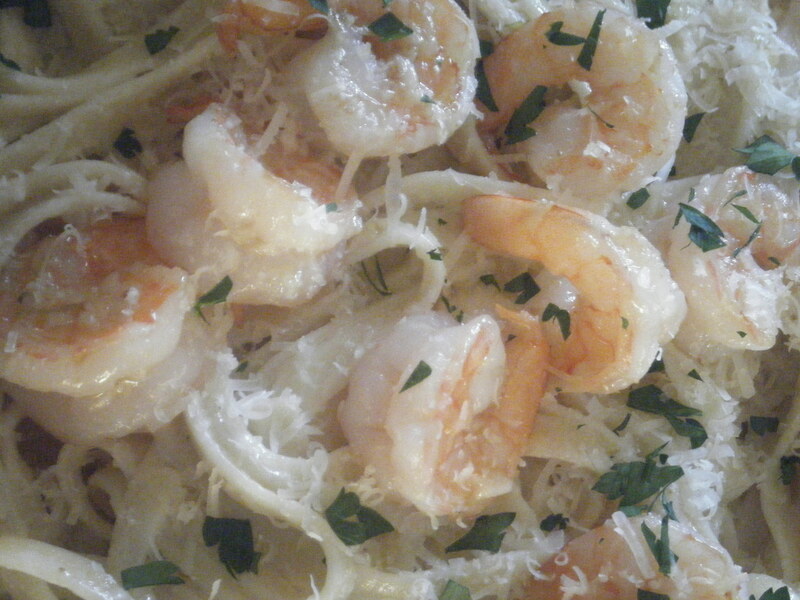 When you pull the tail and it springs back into the C shape, it is done perfectly! 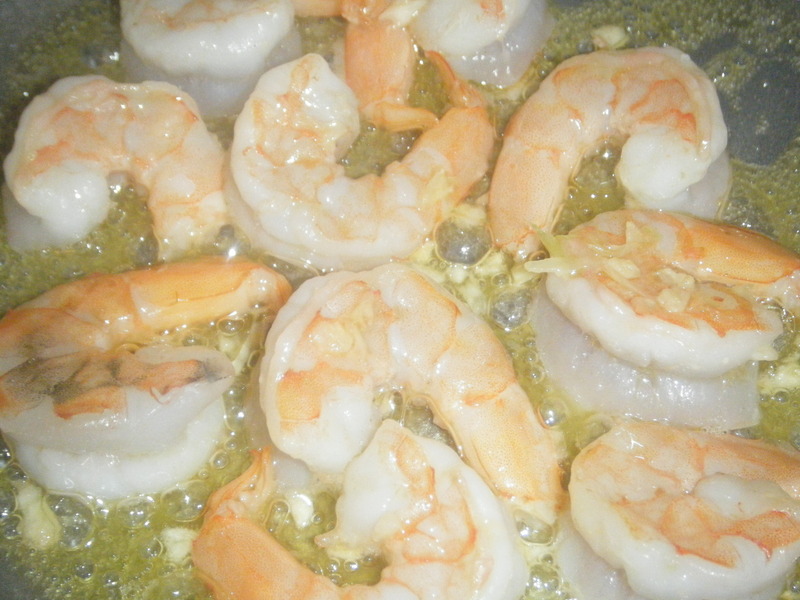 Remove your little gems from the pan and drizzle with the lemon juice! 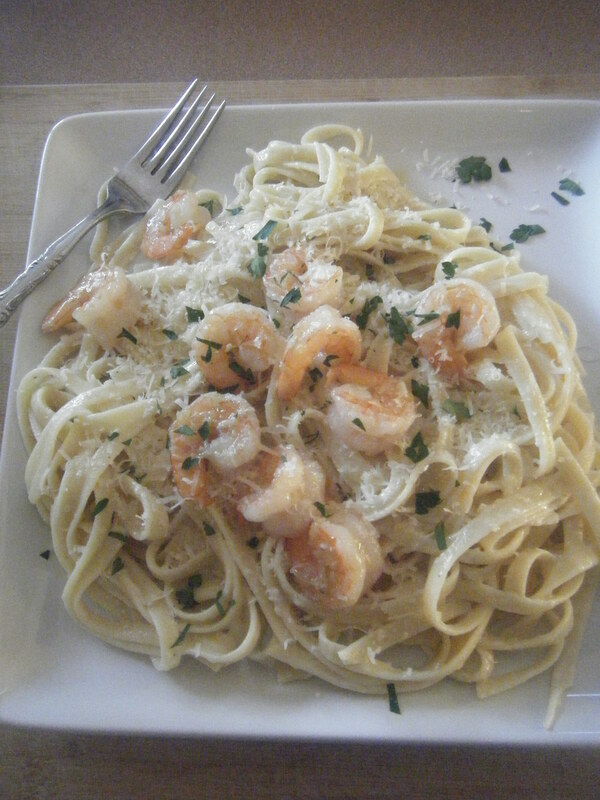 Then feel free to serve over rice, pasta, alone, how ever you like it!